Antique Victorian Masonic dice tumbler. 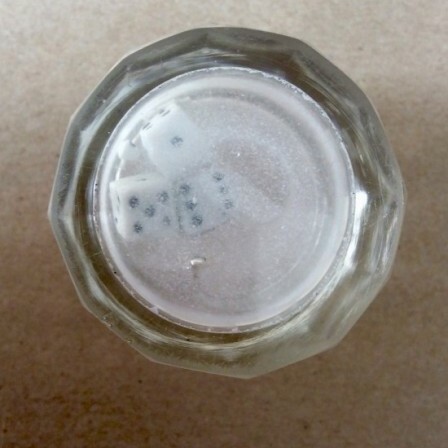 Description: Victorian Masonic gaming dice tumbler. 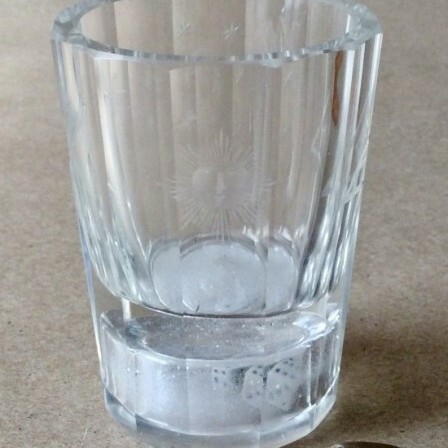 The deceptive glass with section to base containing three white glass dice with black dots. In good original condition but a sliver of glass has detached from one of the dice and has made this part slightly opaque. 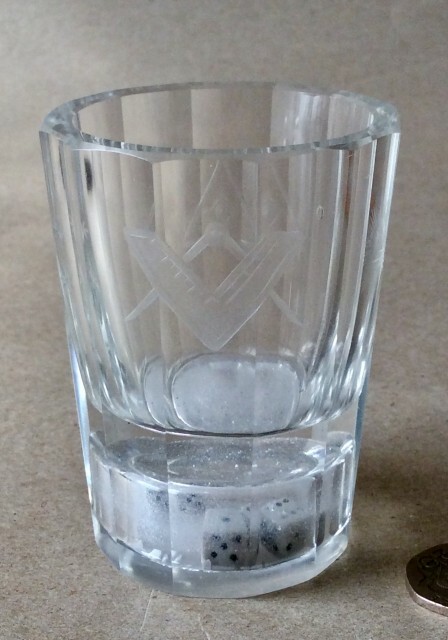 The facet cut glass engraved with Masonic motifs. Sun, Moon and stars, Set square and dividers and All seeing eye. Dimensions: Height 7.5cm. Max width 5.7cm.